Where To Plant: Wooded shady areas. This unusual perennial has 1-2 leaves and a cuplike flower with a curving flap, the color being green, purple or striped, blooming April-May and has a scarlet seed ball following. 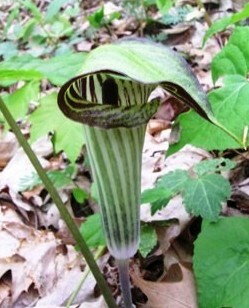 Jack-in-the-Pulpit grows in moist woods 12 inches high with 100% to 55% shade. Its natural range being Canada to Florida, westward to Texas. 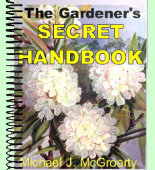 The round root should be planted 2 inches deep and mulched.